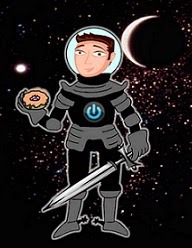 David Powers King: Releases: Control and Dragonfly Warrior, Commercial Space Travel Coming Soon In 2014?, and Updates! Releases: Control and Dragonfly Warrior, Commercial Space Travel Coming Soon In 2014?, and Updates! Good morning! I hope you're hungry for science, because there's two new releases that's sure to whet your appetites. 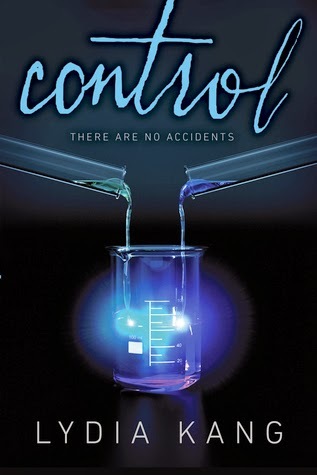 First up is Control, a new YA dystopia by Lydia Kang that's just loaded with ... chemistry! *When a crash kills their father and leaves them orphaned, Zel knows she needs to protect her sister, Dyl. But before Zel has a plan, Dyl is taken by strangers using bizarre sensory weapons, and Zel finds herself in a safe house for teens who aren’t like any she’s ever seen before—teens who shouldn't even exist. Using broken-down technology, her new friends’ peculiar gifts, and her own grit, Zel must find a way to get her sister back from the kidnappers who think a powerful secret is encoded in Dyl’s DNA. Sound's sweet, doesn't it? Congrats to your debut, Lydia ... and to Jay Noel for his debut steampunk adventure, Dragonfly Warrior! *At the age of twenty, Kanze Zenjiro's bloody footprints mark the bodies of those who stood in his way to protect the throne of Nihon. Now, the tyrannical Iberian Empire is bent on destroying his kingdom, and they send their steam-powered giants and iron spiders against him. Zen embarks on a quest that takes him on the most dangerous journey of his life. To succeed, Zen must live up to his nickname, the Dragonfly Warrior, and kill all his enemies with only a sword and a pair of six-guns and somehow survive a test of faith and loyalty in a world so cruel and merciless, it borders on madness. Now that's exciting! It's so cool to see my two blogging buds releasing their debuts. I have both of these books on my reading list. Man - it's times like this I wish reading books was a full-time job! Have you heard the news? According to this article from space.com, commercial flights into space will be available soon, if not before the year is over! The advantage of traveling this way means you could travel to the other side of the world faster than we conventionally do. The question remains: is this really going to happen or will the tickets be too much for the average traveler? Then again ... experiencing Zero-G for a while might be worth the bucks. What do you think? Updates: I took a short break from writing to entertain family last week. Now it's back to the proverbial grindstone. 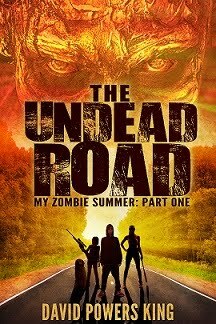 Thankfully edits on The Undead Road are coming along. Should be halfway through the manuscript by the end of the week. All I have left to decide is should I start something new or dust an old story off the shelf and see if it's salvageable? Either way, I'll be busy. That's exactly how I like it! The manuscript is quite literally screaming at me right now. Better get to work or it'll never leave me alone. Till next time, my friends! Who's excited for Control and Dragonfly Warrior? Want to take a flight into suborbital space? What's your plan for the week? Making some great progress! Hope you're more than halfway at the end of the week. Congratulations so Lydia and Jay. Congrats to Jay! And thank you so much, David, for the shout-out. I appreciate it so much!!!! I'm excited to read Control. I haven't purchased it yet but it's on the list. As for Dragonfly Warrior, I loved that book. Jay Noel had better be sitting down and writing a sequel pronto. Both books look amazing. I hope your blogging buddies do well. It must be really exciting for them. Looking forward to reading CONTROL. Way to go Lydia!!! I love flying, but I'm not so sure about space. I'd need a barf bag for sure. And Michael, just waiting for my editor and going to hammer it out soon! Thanks David for featuring me and Lydia here in the Cosmic Laire. I would so do zero gravity. Although on roller coasters, it's the positive G forces I enjoy most. Congrats to Jay and Lydia. I'm so excited for Control! I don't think space travel will be popular anytime soon. Not that it isn't cool. I just think it will be too expensive, like plasma screens times a million. My next suborbital flight will have to be when tickets are a wee bit cheaper. Still, it's nice to know it's starting. And I read Jay's book already. A great time with that one. Haven't seen the other before now. Congrats to Lydia and Jay! So loved Lydia's book. Awesome you're getting back into your editing. And that you took some time for your family. Congrats to these two authors - looks like a couple of great reads! Already looked forward to Dragon Warrior. Well I'm excited for Control now. Thanks a lot David. I mean seriously thanks for bringing it to my attention. 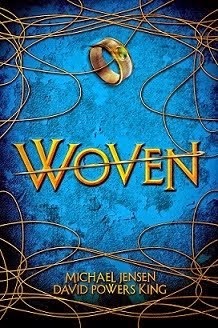 Lydia's cover is stellar and Jay's book is awesome!! now go go go and scream back at that MS!!! Congrats to Lydia and Jay. Both books sound amazing! A Steampunk book! It has been so long since I've heard of one being published! I hope I can find this one somewhere. 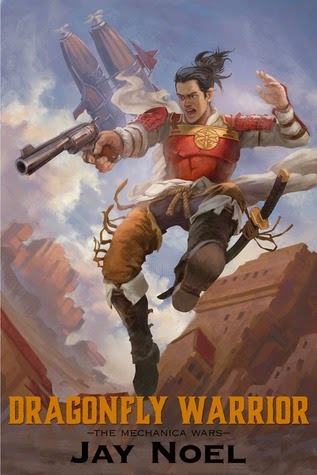 I've been wanting another Steampunk adventure. I'd space travel, but like you, I wonder about the ticket price. If it doesn't cost all my life savings I'd do it. I'd maybe even save up and do it someday anyways. Planet of the Apes. Can't wait to see that one! Congrats to our friend Jay Noel! So many exciting releases. More to add to my TBR list! 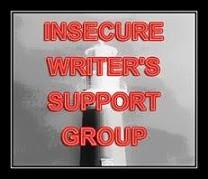 Like you, I'm heading back to my writing after a blogging and writing break. As for space travel, I would do it. Whether I could ever afford it is another matter. Congrats to Lydia and Jay! I think the price of the ticket will be so high that it will not be possible on that space travel... if it comes to fruition. Good for you on getting right back into the groove. Both are on my read lists! Dragonfly Warrior has such a great cover. I want to read the book, just based on that. I would love to take one of those rides into space but I doubt my vacation budget would allow it. Great book covers. How tall can my TBR pile grow? I think experiencing zero-G would be awesome! I do worry about getting sick though. I do think that it would be prohibitively expensive though. At least for the regular person. I dont imagine th eaverage person would be able to afford the prices but gosh what an experience that woul d be. Both those releases seem awesome. I really need to read more, so I'll have to add those to my list. As for space travel, sign me up. I don't really do well on airplanes, but it'll be okay, I'm sure. ;) Have fun with edits!